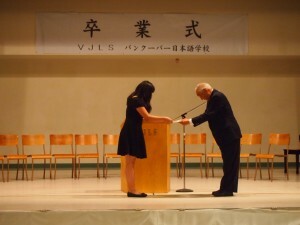 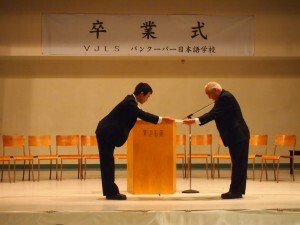 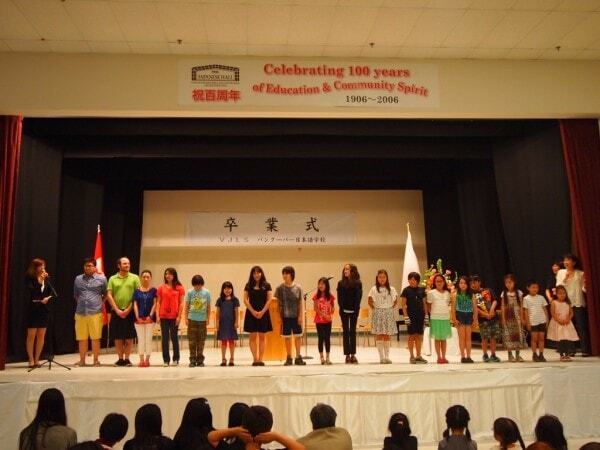 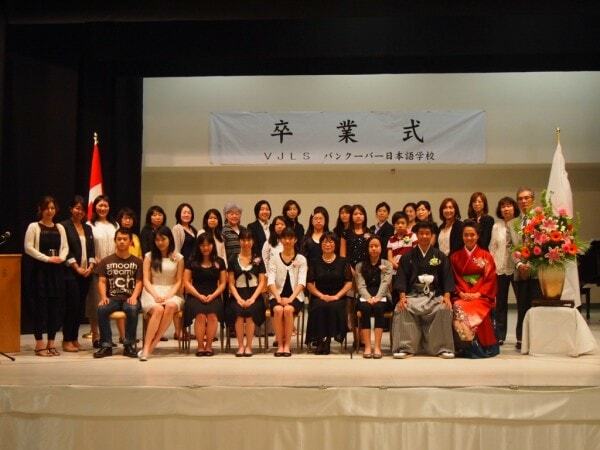 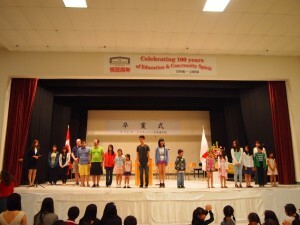 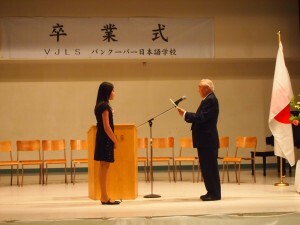 On Saturday, June 21, Graduation and Year End Ceremony took place at the Japanese Hall. We invited Deputy Consul General Akira Uchida, Consul Yoshiyuki Tomi from Consulate-General of Japan in Vancouver, Vancouver City Councillor Kerry Jang, Grater Vancouver Japanese Canadians Citizens Association President Derek Iwanaka, and Gakuyukai (those who graduated VJLS before WWII). 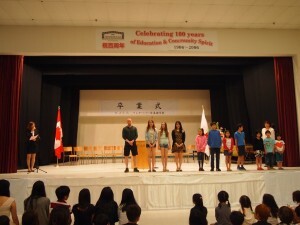 We started the ceremony by singing both Canada and Japan’s national anthem. 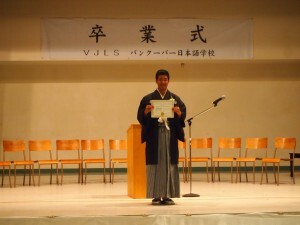 All graduates made a speech and told us their experience at the school. 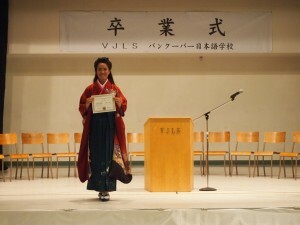 No Comments to "Graduation & Year End Ceremony ［卒業式及び終業式］"